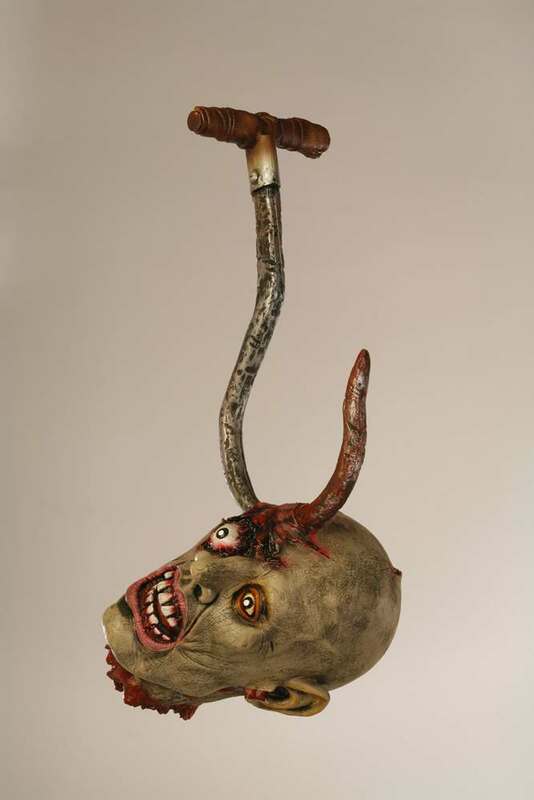 What a gruesome prop... this life-size latex head has a large plastic hook right through the top of it! The side of the head nearest the hook shows a lot of torn, bloody flesh (not really visible in picture). With hook, measures approximately 20" long. Please note: hook does not have brown handle at the end as shown - it has a thick rope through an eyehole on that end instead.